I love asparagus, absolutely love it! 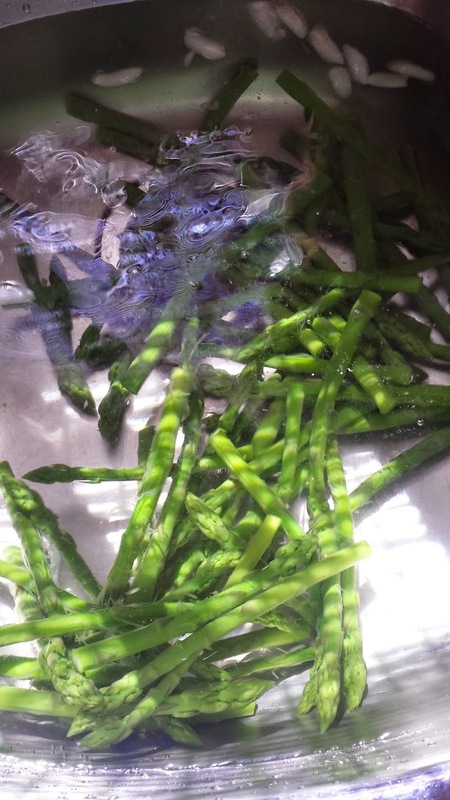 We've shared a bacon wrapped asparagus recipe here before, it also tastes great grilled on the bbq, but check out this chilled asparagus recipe that you can top with so many different things. When I dress with soya sauce I like to top with seasame seeds if I have them in the house, looks really nice! Alternatives: You can toss with anything you desire for so many amazing results - maybe a touch of oil and garlic, lemon juice, italian vinaigrette are just a few ideas! 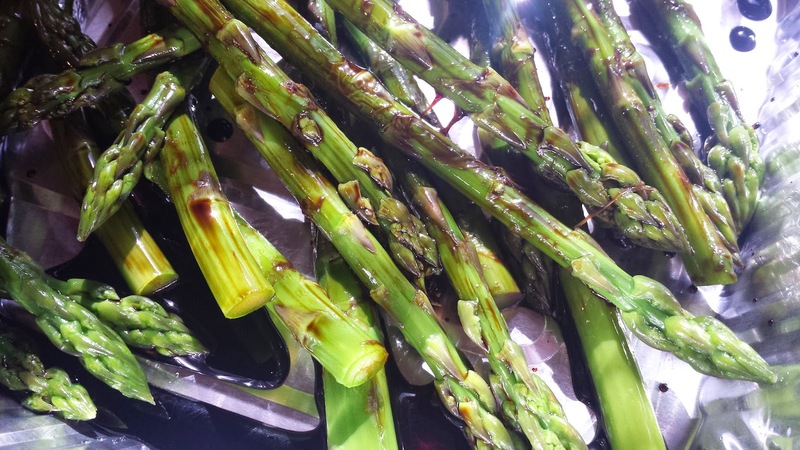 We really love asparagus tossed with soya sauce, receives many compliments at pot lucks and bbqs! Are you like me and you feel intimidated by making cheesecake? The honest truth is that I have never made one, but that is about to change because now Kraft has given me HUGE motivation to not only make one, but to come up with my own recipe to enter into their Philadelphia Cheesecake of the Year Contest! I absolutely LOVE cheesecake! The rich, smooth texture just melts in your mouth and the number of flavours and varieties are endless. I've had two kinds of cheesecake that I would love to be able to replicate in my kitchen. The first one is a simple cheesecake with cherry sauce spilling over the sides. Mmmmm...I can imagine the taste right now! A light and airy cheesecake complimented with a rich and sweet cherry sauce topped with some chocolate shavings. Is your mouth watering yet? The second kind of cheesecake that was one of my favourites was a peanut butter flavoured cheesecake (they had me at peanut butter, but it got better!) with chocolate peanut butter chunks inside, topped off with a caramel sauce. For me, it's the sauce that pulls everything together. I have a huge sweet tooth so that sauce is what puts a delicious cheesecake over the top. YOU can submit your cheesecake recipe and image for a chance to become a national sensation and receive $5000! 1 grand prize winner will be selected from the finalists to receive $5000, the title of 2014 Cheesecake of the Year and will be featured in a national print campaign. This contest is open to residents of Canada. See the 2014 Cheesecake of the Year Official Rules for more contest details, eligibility requirements and judging criteria. This post was brought to you by Kraft Canada via Sheblogs. The opinions expressed herein are those of the author and are not indicative of the opinions or positions of Kraft Canada.